Home > Self Assessment > How Can I Reduce My Self Assessment Bill? A Self Assessment bill can come as something of a shock. The idea of having to pay your entire year’s tax bill in one or two instalments is a daunting one, particularly if you are earning less than you did in the previous year. But, while self assessment taxpayers are at something of a disadvantage in one sense, they benefit from the ability to take extra steps to minimise their tax bill. There are a number of important ways that you can reduce the amount you have to pay each January. 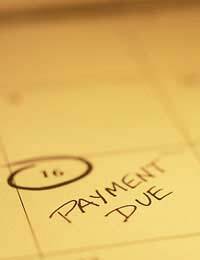 Some you must bear in mind throughout the year, and others only apply when you come to actually paying your bill. Allowable Expenses are perhaps the most important tool in the arsenal of a self-employed taxpayer. These expenses cover the day-to-day running of your business, and might include things like phone line and other utility bills, professional fees like those charged by accountants and lawyers, stationery and postage. When you are Completing Your Self Assessment, your total allowable expenses are deducted from your income – but, of course, you can only claim for expenditure of which you have kept accurate records. Efficient accounting is therefore the most effective way for most self assessment taxpayers to keep their bills down. You should pay particular attention to expenditure that is not exclusively for business purposes. For example, if you work from home and use the same phone line for personal and business calls, you will need to work out what proportion of the expense is allowable. HM Revenue and Customs (HMRC) is particularly attentive to claims of this sort, and you must therefore ensure that you only make accurate and easily verifiable claims. There is often confusion about what you can and cannot offset. Many people believe that capital losses can be offset against your annual capital allowance; this is not the case. Instead, you should offset your losses against other forms of income. You should do this in the Capital Gains Summary section of your Self Assessment. When it comes to actually paying your tax bill, you should remember that further charges will accrue if you do not settle your bill promptly. The deadline for making a balancing payment against the previous year’s tax bill is October 31st for all paper returns and January 31st to file your self assessment online. You will also not be able to make use of HMRC’s direct debit service unless you are up to date with your tax bill – and this can result in you missing the deadline again next year. You should therefore ensure that you pay your tax on time. Finally, it is worth remembering that some help is available to those who are having genuine difficulty paying their tax bill. If you cannot meet the January 31st deadline, make sure that you read our article on advice for those who cannot pay their tax.